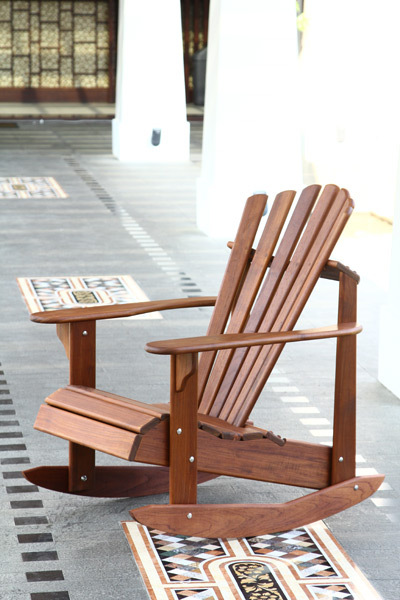 The Signature Teak Adirondack Rocker is constructed of solid finished Teak wood. To ensure durability and a luxurious appearance, it features stainless steel fasteners and wood-plugged screw holes for smooth surfaces. This Adirondack Rocker is shipped partially assembled. Assembly is easy and requires only common household tools. As an option, our Footrest/ End Table is the perfect complimentary piece for the Adirondack Rocker.